Veronica Tennant, during her illustrious 25-year career as Prima Ballerina with The National Ballet of Canada - won a devoted following on the international stage as a dancer of extraordinary versatility and dramatic power. Born in London England, Veronica Tennant started ballet lessons at four at the Arts Educational School, and with her move to Canada at the age of nine, started training with Betty Oliphant and then the National Ballet School. 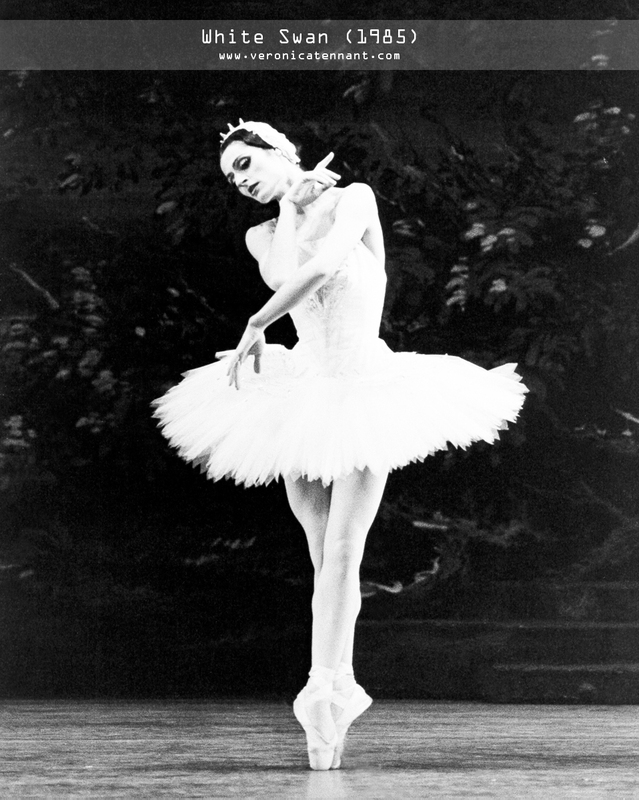 While she missed a year on graduation due to her first back injury, she entered the company in 1964 as its youngest principal dancer. Tennant was chosen by Celia Franca and John Cranko for her debut as Juliet - with her first Romeo, Earl Kraul. She went on to earn accolades in every major classical role and extensive neo-classical repertoire as well as having several contemporary ballets choreographed for her. She worked with the legendary choreographers; Sir Frederick Ashton, Roland Petit, Jiri Kylian, John Neumeier, and championed Canadian choreographers such as James Kudelka, Ann Ditchburn, Constantin Patsalas and David Allan. She danced across North and South America, Europe and Japan, with the greatest male dancers of our time, including Erik Bruhn (her mentor), and Rudolf Nureyev, Anthony Dowell, Peter Schaufuss, Fernando Bujones and Mikhail Baryshnikov (immediately after he defected in Toronto, 1974). She was cast by Erik Bruhn to dance his La Sylphide with Niels Kehlet when Celia Franca brought The National Ballet of Canada to London England for the first time in 1972; and was Canada’s 'first Aurora' dancing in the premiere of Rudolf Nureyev's Sleeping Beauty September 1, 1972 and at the company's debut at the Metropolitan Opera House in New York, 1973. 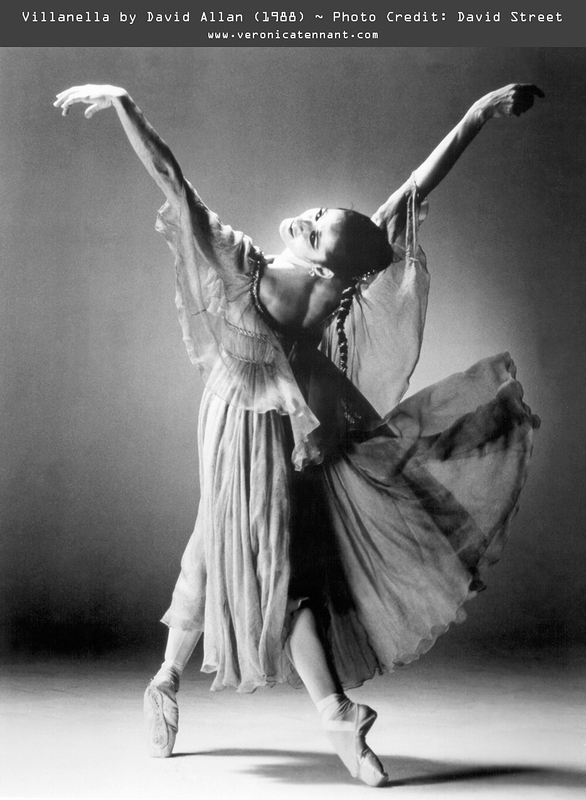 Tennant gave her parting performances in her signature role in Romeo and Juliet dancing with Raymond Smith in February 1989; and in a subsequent tribute Gala where she danced excerpts from Giselle with Frank Augustyn, Washington Square with Charles Kirby, Canciones with Kevin Pugh, and Masada with Rex Harrington; as well as the final pas de deux from Onegin with Raymond Smith - and - a surprise first and last time performance of the pas de deux from Cranko's Taming of the Shrew with Richard Cragun. Her farewell gala November 21, 1989 was called - A Passion For Dance - Celebrating the Tennant Magic. Since leaving the stage as Prima Ballerina, Veronica Tennant has since garnered acclaim as a gifted filmmaker, producer/director - winning several awards, including the prestigious International Emmy for KAREN KAIN: DANCING IN THE MOMENT (CBC). Her extensive list of television productions ranges in genre, from arts-performance to drama to documentary; highlighted by; SHADOW PLEASURES, THE DANCERS’ STORY; CELIA FRANCA: Tour de Force, and VIDA Y DANZA, CUBA. For stage; Veronica Tennant was Movement Director/Choreographer for Margaret Atwood’s Penelopiad, a collaboration between UK’s Royal Shakespearean Company and Canada’s NAC. She has performed as an actor with the Shaw Festival and Young People’s Theatre, written two children’s books, On Stage, Please – illustrated by Rita Briansky and The Nutcracker illustrated by Toller Cranston. Most recently, she conceived and directed the multi-disciplinary stage-show, NIÁGARA~ A Pan-American Story, commissioned by PANAMANIA Arts and Culture for TO2015. Lauded as a “great communicator” and the subject of CBC’s Life & Times of Veronica Tennant: Renaissance Woman, Tennant has also built an impressive reputation as a speaker, narrator, actor, broadcaster, as well as choreographer. Veronica Tennant’s honours include: Inductee, Canada’s Walk of Fame, Canada Council’s Walter Carsen Prize for Excellence in the Performing Arts, The Governor General’s Performing Arts Award for Lifetime Achievement, and honorary doctorates from the Universities of Brock, York, Simon Fraser, University of Toronto, and McGill. Veronica Tennant has served as Canada’s National Ambassador for UNICEF since 1995. 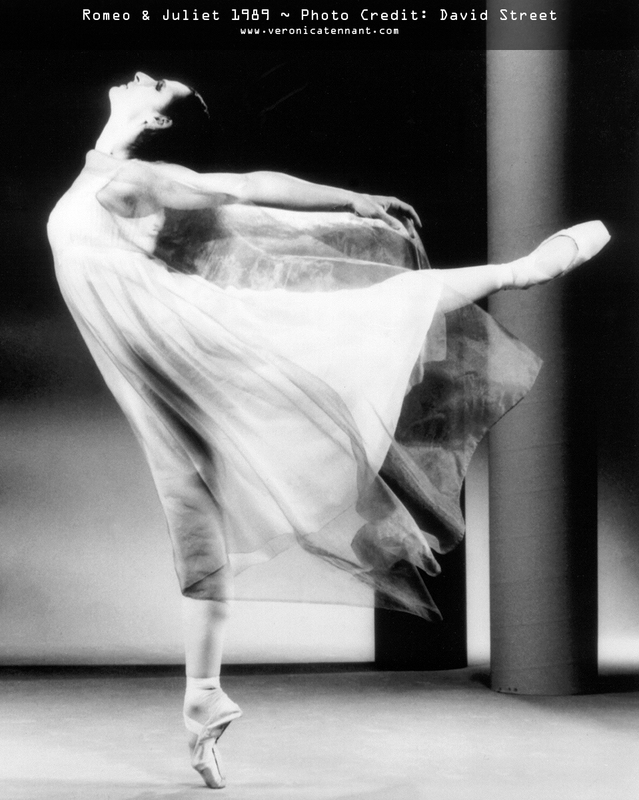 She was the first dancer to be appointed to the Order of Canada as Officer in 1975. In 2004, Veronica Tennant was elevated to the rank of Companion of the Order of Canada, the country’s highest honour. "The Cecchetti technique was my 'A B C' of the ballet. Instilled in me was a vocabulary that made it possible to be - not only a literate dancer, but also an articulate one - capable of and curious to learn all the languages of the Dance. "When I think of my early days in training to be a ballet dancer; I am grateful that the choices of 'style', 'form', 'lyricism', and 'attack', came from such an authentic and classical base as the one formulated by Maestro Cecchetti. "When I think of the classical roles I cherished the most; Giselle, Les Sylphides, and Swan Lake, I realise that my schooling enabled me to dance them with pride. Yet it also gave me the technical confidence to embrace and interpret them as a creative dancer of the twentieth century. And then, to explore all techniques, all choreographic styles of dance, and, in particular, my love of dramatic roles - the Cranko repertoire and working with choreographers on fresh and uncharted works."